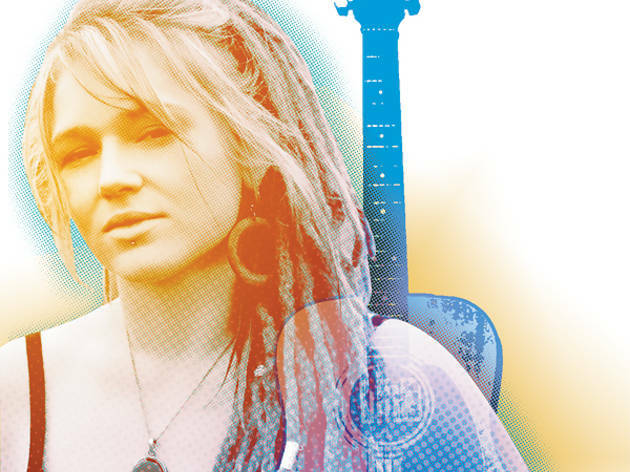 In her debut album, Crystal Bowersox bares a troubled past. 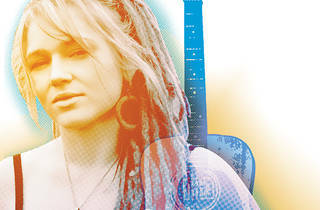 For the first single from her debut album, Farmer's Daughter, Crystal Bowersox’s label pushed for the track “Hold On,” penned by onetime American Idol judge Kara DioGuardi and Nickelback’s Chad Kroeger. Bowersox, this year’s Idol runner-up, pushed back. “I want my first single to be a song that says, ‘This is my story,’” the Chicagoan tells me. “I didn’t want to do an Idol-connected song.” Her first single, the title track, indeed tells the singer’s fraught tale. The candid 25-year-old spoke by phone from her new Chicago home west of downtown. Yep. The song is completely and bluntly autobiographical. My mom and I were never like mother and daughter should be. There was a lot of chaos in our home. The line of “Willie put his head through the door to find clarity” is very literal. My brother tried to knock himself out because there was so much fighting and screaming. So “you” in that line is your mom? Yeah, she was drunk, and she was obsessive about my diabetes. I’ve been type 1 diabetic since I was six. “Check your sugar, check your sugar.” And things escalated, and she swung a chair at me, and I blocked it with my leg, and she shattered my foot, and I didn’t go to the hospital for three days. Have you spoken about it with her? Yeah, we have. She has a little bit of denial there. She did the best that she could, and any parent does. She did it because she wanted me to check my sugar. She loved me to the point of pain. You read that as love? She’s not a bad person, and she’s an amazing grandmother. We have a very different relationship now. I love my mother a lot. You recently wrote an essay for CNN about being bullied in school. I went to a public school in Oak Harbor, Ohio, and it’s a very rural community. I was an artist kid, and I just didn’t fit in very well. But I never, ever blame my opponent for anything. I can only control what I do. You wrote you were picked on also for being poor. Yeah, I did grow up poor. My mom managed to get a job as a custodian at our church, and it was really just a favor for her, and my dad’s an electrician—just a blue-collar family, and the house was usually falling apart. Where was your dad during the difficulties with your mom? My dad remarried, and I have some stepsiblings. My dad was around. There just wasn’t much he could do from where he was. Yet through all this you had the confidence and drive to perform music publicly from age ten. That was my escape, my ventilation. I have to get these things out of me. It doesn’t hurt me when it’s out. You were 18 when you moved to Chicago—what was that like? My first apartment was 1157 West Diversey. I had a great view of downtown from the fire escape. My dad packed up a van, and I came to Chicago. I started playing in the subway. And busking at El stations was enough to make ends meet? I did pretty well busking. I would play two to eight hours a day, and I could make two or three hundred an hour. You’re kidding: two or three hundred an hour? You learn the system of it. There’s a whole subculture down there: First come, first serve; you pick good times. If there’s a Cubs game, you play at the Lake station. If there’s a Sox game, you play at Jackson. I got pretty street-smart down there and learned to hold my own and project my voice really well. So how did Idol come about? I had my son in January of 2009, and I moved home in March, and I came back one time and was staying with a friend, and they were like, “You know, the American Idol auditions are in town.” I just would’ve gone home in Ohio and been a mom for the rest of my life, which is fine, but I want to be able to do what I love for a living. In October, you married musician Brian Walker at Uncommon Ground, where you two met years ago—a whirlwind romance, right? You were dating Tony Kusian this spring. Tony and I went through the whole Idol process, and Brian and I were friends through all of that. And when I went on the Idol tour, Brian was taking care of my boy. We were just friends, and then we realized that it worked. Farmer’s Daughter is available now.